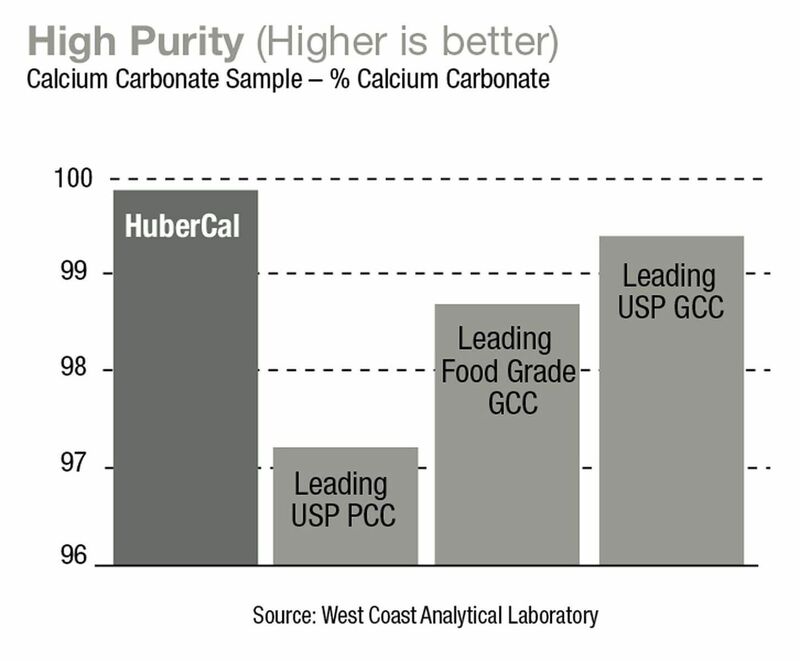 HuberCal® calcium carbonate powder is a naturally pure source of calcium. It is the ideal ingredient for use in dietary supplementation for food fortification, granulations, antacids and other various pharmaceutical applications. Huber manufactures calcium carbonate granulations using our own high-purity powder at our manufacturing facility in Quincy, Illinois. To find the HuberCal powder calcium product perfect for your application and to order samples, Contact Us or visit our Product Finder. SediGraph® is a registered trademark of Micromeritics Instrument Corporation. CILAS® is a registered trademark of Campagnie Industrielle des Lasers Cilas.